The game also needed a "reset" button always within reach. How did you test your game without one anyway? :o Did you assign it to a keybind? I hope you enjoyed the jam, and I'll see you in the next one! You're welcome! And with regards to the timer thing, I never meant to say it's too easy! :P Just that it needs an additional incentive to go against the brain's natural laziness. Also I forgot to mention this last time but I found it really offputting that the visible part of the piano keys on each cards stops at B. I'm used to see things going from C to the next C. The additional "missing" black note helps my brain locate the notes more easily. The concept is interesting though. It has great educative potential. 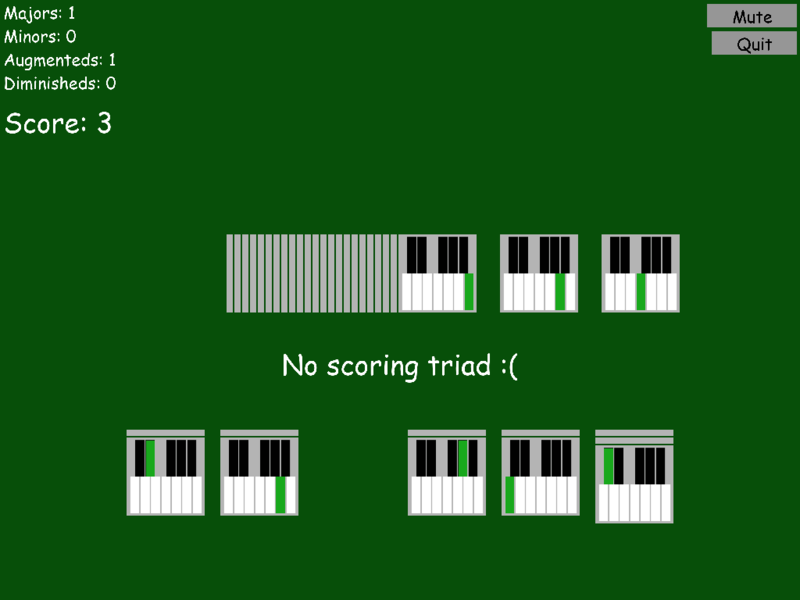 However, despite understanding the music theory concepts used in this game, I've been unable to find the right strategy (as I said, not good at Solitaire :p). Most of the time I see two cards that could potentially do a triad, but then I don't find a third one, so I pick one more or less randomly hoping to find an opportunity next time, then repeat... I'm sure there's a more "clever" way to play, but I couldn't find the way of solving the puzzles the game offers. x) Maybe some kind of tutorial could hint on the methodology the player should learn? It could also make the game more accessible for players who don't know what a triad is. Alternatively, I could also spend more time on it. Because I still feel that the use of chords here is a clever mechanic, and I want to get better at it. 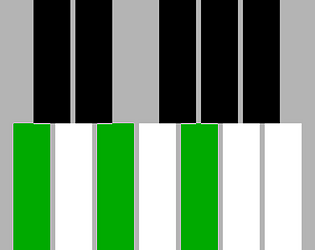 The game is all about finding patterns, maybe time would allow me to see them more easily as I practice it? Anyway, great idea here! It seems like it is a great game. 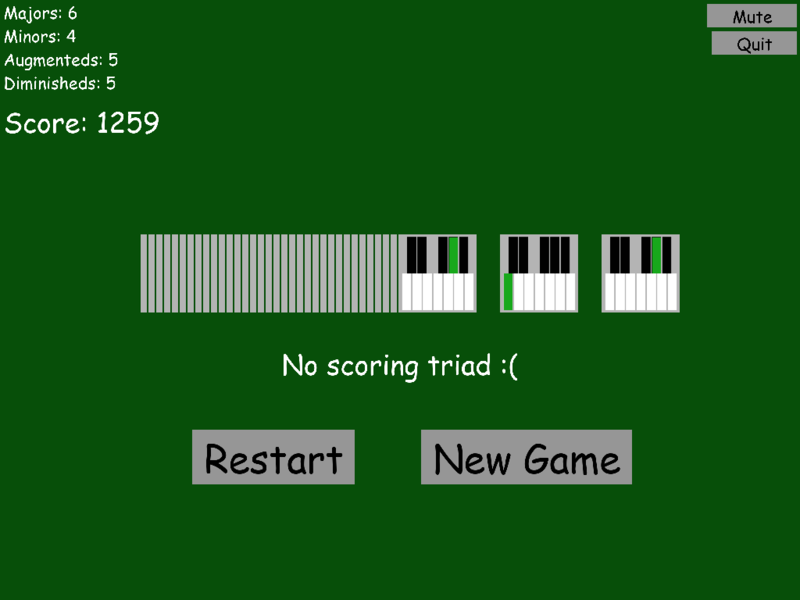 However, no idea how to do triads. xP Wish there was a cheat sheet or a table to check which triads there are. 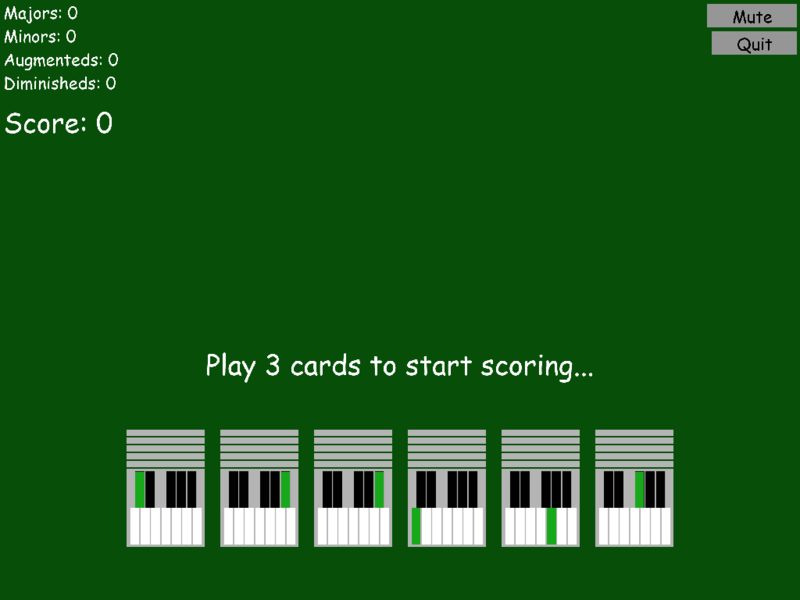 Fun and interesting way to kinda teach chords and yet it feels like solitaire -clever! -I like it! :D Nice job! This is a really cool concept to me. 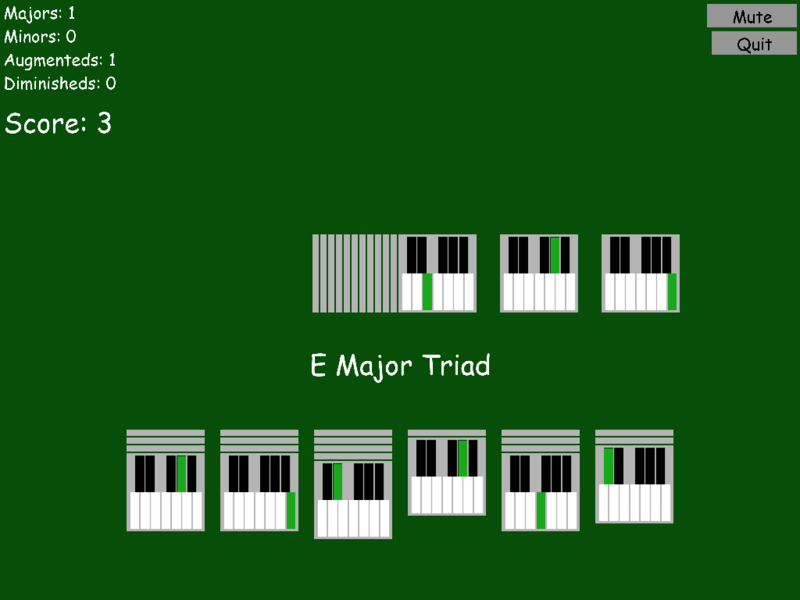 It makes me think differently about music because I'm planning my next inputs based on maximum score and chord combinations, rather than tonality. ^_^ Very unique. It's great you used such simple tools to make it, but resetting screen resolution at program start is a little harsh. Conceptually, this is a really smart twist on solitaire! It has tremendous education potential. However, I'm musically inept so I wish the game either had a starting sheet that showed players viable combinations or was more aggressive about helping beginners form working matches.